I have over 23 years experience in the real estate industry. I have been the owner of Donovan Real Estate, Inc. DBA, Legacy Real Estate since 1996. I hold a Bachelor's of Business Administration from SFA State University with a major in Marketing and a minor in Accounting and Management. 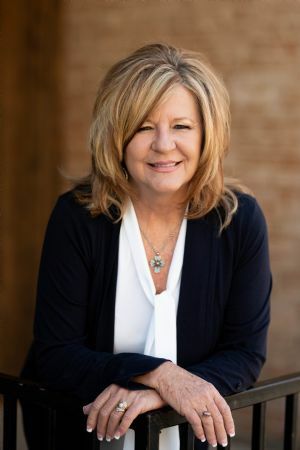 After Graduation, I moved to Austin and began a career in real estate as a broker assistant, and quickly became a Lease and Sales Coordinator and the company's bookkeeper. Within two years, I became Accounting Supervisor handling their Property Management and business books. I became licensed in 1989 and moved back to Lufkin to start a sales career in 1991. In my second year with Donovan Real Estate, Inc., I was a Multi-Million Dollar Producer. I earned my GRI and CRS designations in 1994. In 1995, the Lufkin Associations of Realtors awarded me with "Realtor of the Year". I have held many positions on the local real estate board as Director, Secretary/Treasurer and President of the Lufkin Association of Realtors in 2012. A fellow sales associate and I purchased Donovan Real Estate, Inc. in 1996. I became sole owner in 2005 and changed the name to Legacy Real Estate Group in 2014. I am active in the community and served on Huntington School Board for 9 years. I have been married to my high school sweetheart for almost 30 years. We have a son and daughter, Blake and Morgan, a daughter in law, Kaci, and four awesome grandchildren, Brynlee, Kynadee Cash and Avery. When I am not working, you will find me spending time with my growing family. I have always taken great pride in providing great service and staying in touch because I believe that buying a home is one of the most important investments that a person can make in their lifetime. I have surrounded myself with the best Realtors Lufkin has to offer! God has truly blessed me and my family with the awesome opportunity to serve the wonderful residents of East Texas!